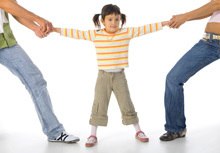 Custody Arrangement that the Court's follow - Gonser and Gonser, P.A. Gonser and Gonser, P.A. > Legal News > Ask Drew Thursday > What is the standard custody arrangement that the Court’s follow?